Michael A. Davis has been privileged to help shape and educate the globalcommunity on the evolution of IT security. His portfolio of clients includes international corporations such as AT&T, Sears, and Exelon as well as the U.S. Department of Defense. Davis's early embrace of entrepreneurship earned him a spot on BusinessWeek's "Top 25 Under 25"
list, recognizing his launch of IT security consulting firm Savid Technologies, one of the fastest-growing companies of its decade. He has a passion for educating others and, as a contributing author for the *Hacking Exposed* books, has become a keynote speaker at dozens of conferences and symposiums worldwide. Davis serves as CTO of CounterTack, provider of an endpoint security platform delivering real-time cyberthreat detection and forensics. He joined the company because he recognized that the battle is moving to the endpoint and that conventional IT security technologies can't protect enterprises. Rather, he saw a need to deliver to the community continuous attack monitoring backed by automated threat analysis. Davis brings a solid background in IT threat assessment and protection to his latest posting, having been Senior Manager Global Threats for McAfee prior to launching Savid, which was acquired by External IT. Aside from his work advancing cybersecurity, Davis writes for industry publications including InformationWeek and Dark Reading. Additionally, he has been a partner in a number of diverse entrepreneurial startups; held a leadership position at 3Com; managed two Internet service providers; and recently served as President/CEO of the InClaro Group, a firm providing information security advisory and consulting services based on a unique risk assessment methodology. To stay safer, focus on multiple-threat attack chains rather than on individual threats. Even as mobility and cloud take off, too many companies still leave data in the clear, spooked by operational concerns. Yes, key management remains a problem. But can you really afford not to encrypt? The new OS and Internet Explorer 10 protect applications and limit the fallout of exploits. Companies using cloud services need to verify, not trust, that a provider's controls will actually protect their data. Whether it's cloud computing, mobile devices, or insecure software, some threats are more prevalent than others. Our latest survey delves into where security pros are putting their resources. Don't fret about malware detection. Focus on user interactions, performance, and management. As broken protocols, cloud, mobility, and key management woes add to IT's load, the best bet is to get self-sufficient. MDM: To Sandbox Or Not To Sandbox? Mobile device management systems take different approaches to sandboxing. Is mobile virtualization the answer? Breached partners, mobility, SaaS, consumerization. If you don't know exactly who's doing what on your network, you're cruising for data loss. A look back at one of the industry's most complex attacks--and the lessons it teaches. At most companies, you can't just say "no" to consumer devices. Here's a plan to take the lead on information security issues. Seat of the pants is no way to prioritize security spending and set project precedence. 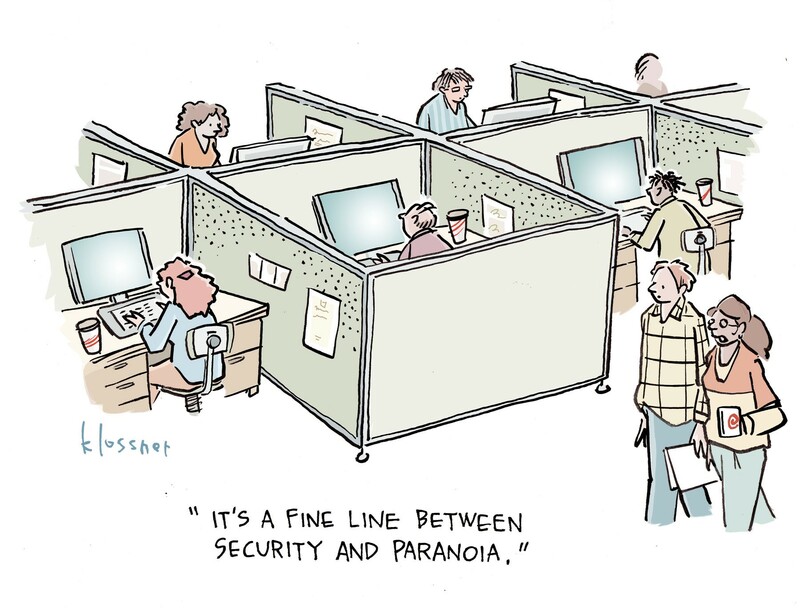 But that's exactly how some CISOs are doing business.